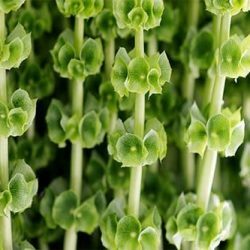 Bells of Ireland flower are also known as, Molucella. The green Bells of Ireland are wonderfully versatile flowers. Perfect for wedding and event floral decorations. Bells of Ireland are widely favored by floral designers. The Bells of Ireland, while having a rustic charm, echoing the traditional lines of the foxglove, it also gives an eclectic modern edge to many flower combinations. These Irish Bells also looks fantastic on their own, just ten stems standing tall in a stylish glass vase. Therefore, the pretty green bells of the flower calyx make this a consistently beautiful fresh flower. Make tall flower arrangements or centerpieces using Bells of Ireland. 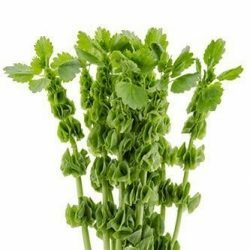 Buy Bells of Ireland in bulk flowers online for weddings and special occasions.